Can I get a job if I am under 18? But there are special rules. Can I work during the school year? What Immigration papers do I need to be able to work? Do I really need a work permit? 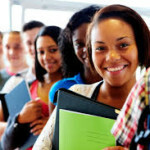 You must have a work permit if you are under 18 and have not finished high school. You have the right to pump milk or breastfeed at work. Can I miss work if my baby or I get sick? Your boss must let you take any leave you are entitled to ( i.e. paid sick time) if you or your baby is sick. How do I sign up for disability payments? Ask the state Employment Development Department about Paid Family Leave Law and Pregnancy Disability Leave benefits. How do I look for a job? There are many ways you can look for a job. Try looking online. If you do not have a computer, you can use one for free at your school library, public library, or at the local Employment Development Department. Can I get a job if I am pregnant? There are many jobs you can do when you are pregnant. Can I take time off work when I’m pregnant and when my baby is born? Can I definitely get my old job back after the baby is born? Yes. Your boss must give you your same (or a similar) job when you come back if you don’t take more time off than the law allows. If you get paid sick leave or other paid leave at your job, you have the right to use it when your baby is born. Ask your boss about this before you have your baby. Can I miss work for my child’s activities? In most cases, your employer must let you take time off to go to your child’s school activities. You can use paid vacation or personal time, if you have it.